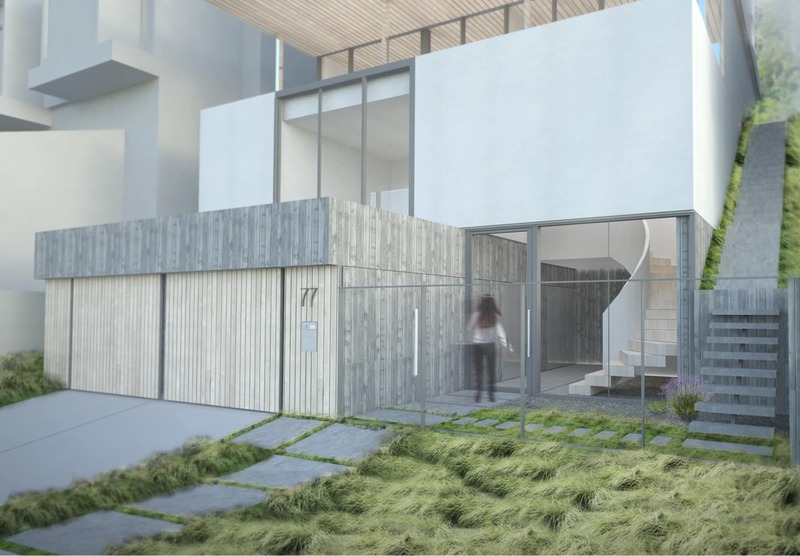 A new home responds to the site's geology and celebrates expansive views, resulting in a sculptural stack on a steep urban hillside. 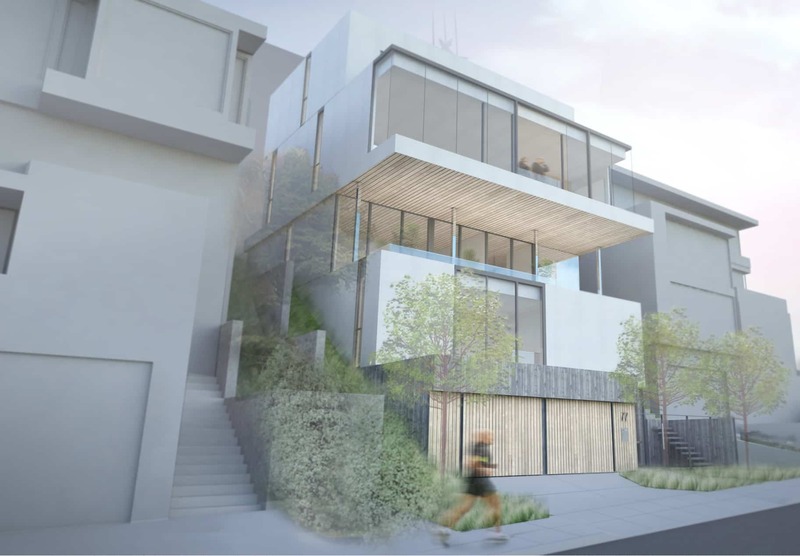 This ongoing project is a new house designed for a steep lot near Mount Sutro Open Space Preserve. On the owners’ wish list was a home to play up the views and a sense of openness, while also providing privacy. The resulting composition of five stacked, shifting volumes creates a series of spaces — from the intimate to the breathtaking — featuring a large cantilever towards the view. 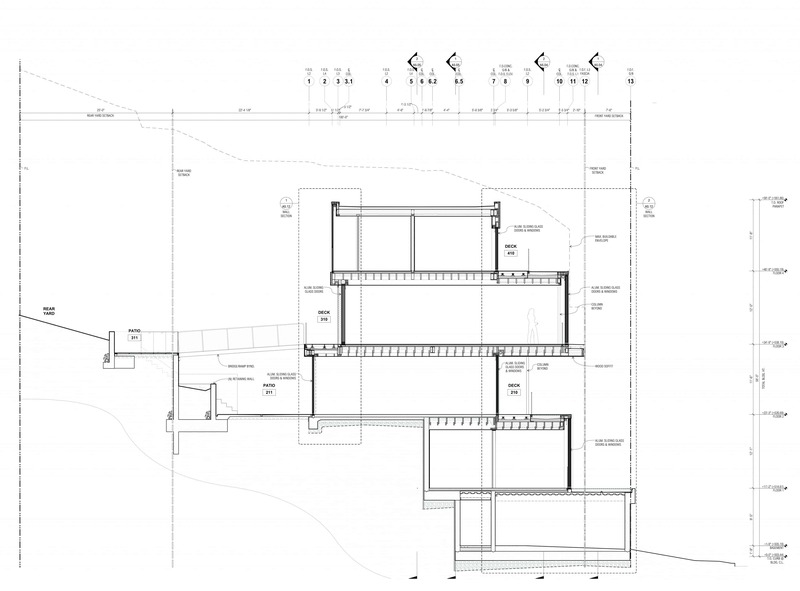 The design is thoroughly informed by its unique and geologically complex hillside site. The bottom levels are carved into the hill, adhering closely to the footprint of the lot’s original house. Hidden from sight are elaborate structures of earth shoring, concrete and steel foundations, and drainage systems, all developed in collaboration with engineers. 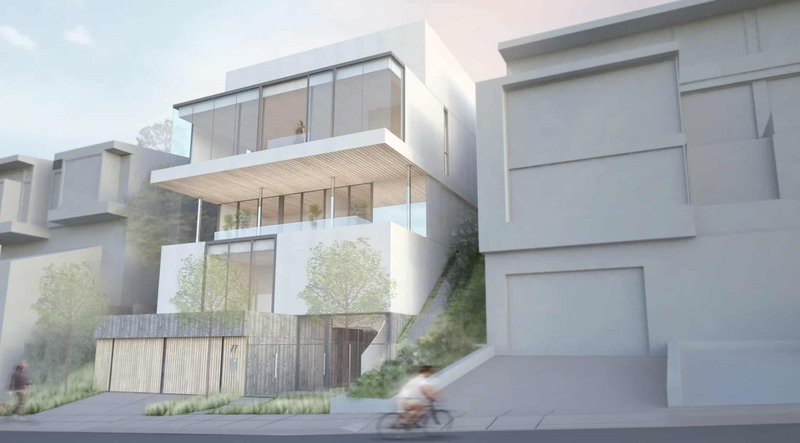 As a counterpoint to the grounded nature of the lower stories, the upper levels float above the ground, celebrating panoramic views of San Francisco. From the heavy board-formed concrete base to the smooth plaster and glass volumes above, material articulation emphasizes a progression from embedded earth-bound volumes to lighter airborne living levels. 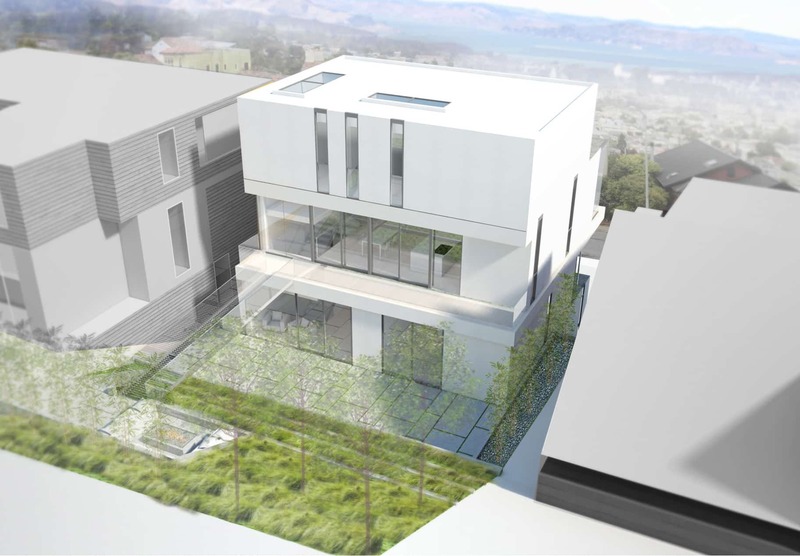 The design capitalizes on the unusually wide parcel (50 feet, twice the typical San Francisco lot) by making the main living level a full-width, open floor plan that cantilevers towards the city and the bay. Floor-to-ceiling windows extending across the front and wrapping the corners dissolve the building’s edge, enhancing the sensation of being in a floating room. 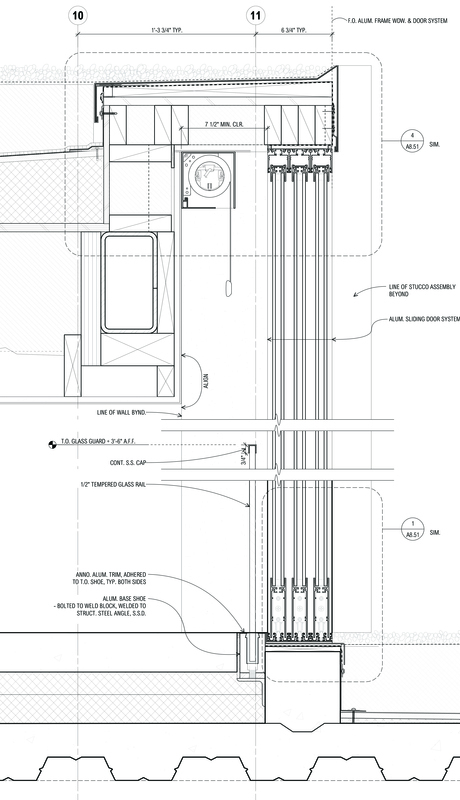 Other levels play off this horizontal expression, creating a rhythm of shifting bands and providing a variety of experiences including shaded outdoor balconies, decks, and terraced patios. 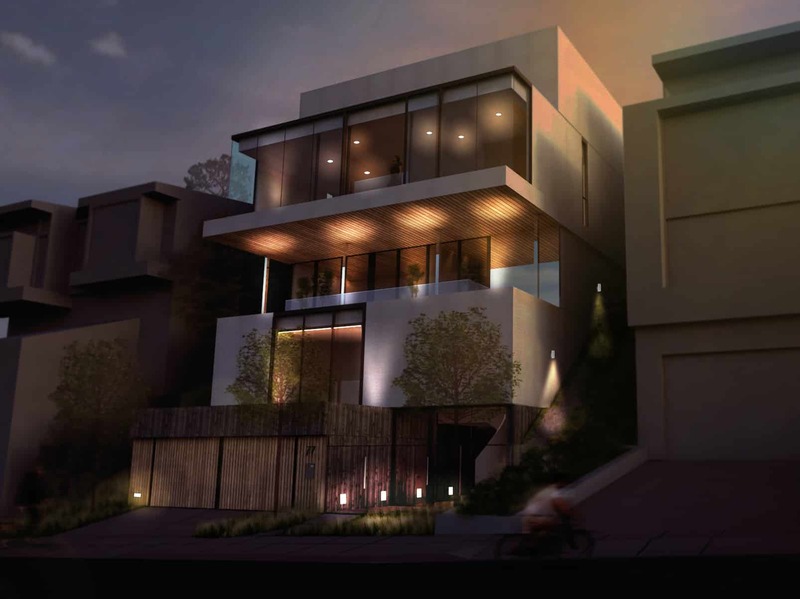 Jensen worked closely with the owners on the home’s exterior and interior details as well as interior design. 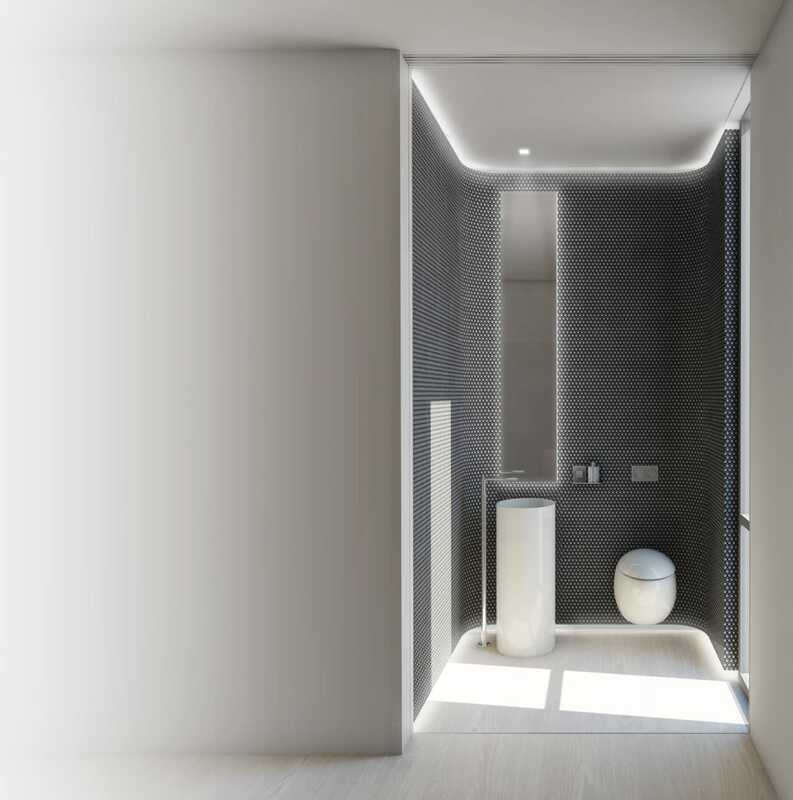 Each room is thoughtfully considered, resulting in deeply personal spaces ranging from cozy nooks with custom casework to amenities for their pets, including a dedicated room for their pets. Spaces are tailored for optimized ergonomics, individual habits, and placement of art. 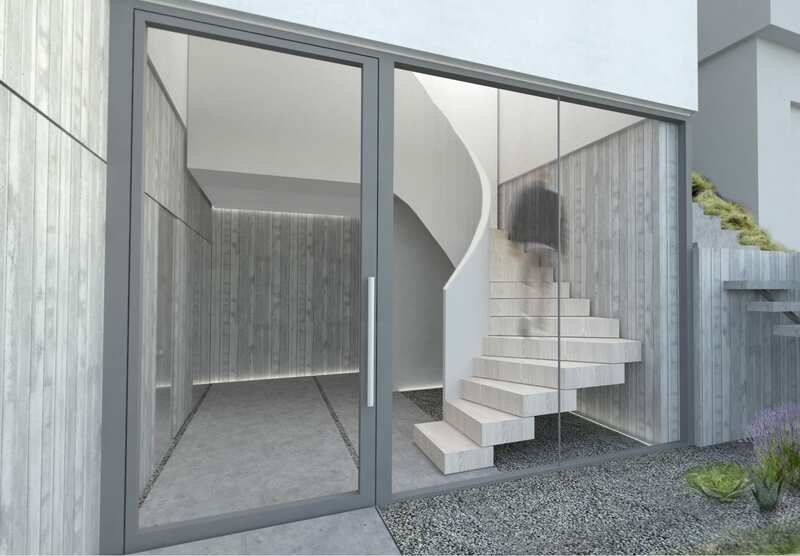 Another special feature, a bridge connecting the main level to a backyard terrace, fulfills one of the client’s childhood dreams, while satisfying the building-code requirement for a secondary exit. The master suite, equipped with its own kitchenette and bar, is tucked back to serve as the ultimate private retreat.